Do you sit back and think to yourself, if I wrote a book would it be any good? It's a question most writer's ask themselves at some point in time. Some people are more tuned into words than numbers, often finding spelling and grammar comes more easily to them than working out sums. I count myself as one of those people, maths was never my strong point. Do any of these signs seem familiar to you? 1. Do you people watch and listen into other people's conversations? This probably sounds a lot like stalking, but all it really amounts to is observing people around you. You take notes about the way they're dressed, the way they walk, how they carry themselves. While you're sitting having a coffee your ears prick up and hone into conversations going on around you. All of these things can build up a picture in your mind. This can be just enough to spark a story idea. 2. Do you stockpile words? You love reading books, magazines, any sentence that makes sense, you make a note of it. To you this makes perfect sense. You have notebooks full of sentences and phrases you want to use at a later for a story. 3. Do you buy a journal every year? Ever since you learnt how to write you've always felt it important to record your feelings and life on paper. Even if your day wasn't that exciting you felt the need to get your thoughts out there. For you writing is part of a healing process or remedy you use when you're feeling depressed or down. 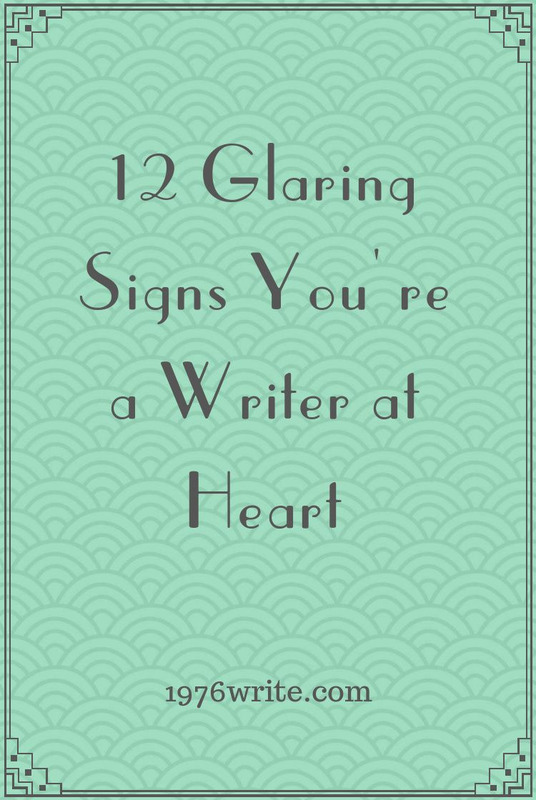 You start pacing the floor if you haven't written anything for days. 5. Is reading your passion? You get told by friends and family for always burying your face in a book. You take a book everywhere you go. When you move you have boxes filled with books because you can't bear to part with them. 6. Is your mind full of adventures? You were always caught daydreaming in class. Stories of pirates, knights and wizards were always in your head when you made up new worlds for them to inhabit. No task is mundane, even washing the dishes, because you're always creating new stories. 7. Do you turn life experience into a potential goldmine? Every experience you have is something worth writing about. Whether it's being caught in a thunderstorm on the way home from work or being stuck in traffic for half an hour, these experiences are added to your journal for future reference. 8. Do you believe you're a better writer than the next guy? 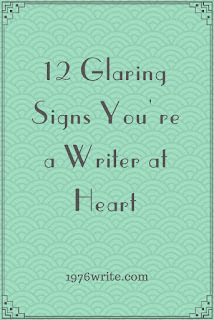 Inside you know that you're a better writer, especially when you read someone else's work. You usually start out imitating his style, but not for long because you find your own voice and you start to improve as the days go on. 9. Do your thoughts feel like they come out of the blue? Writer's block doesn't happen to you that often, but within minutes you put pen to paper and start scribbling away. The half a page you planned on writing quickly becomes three pages. 10. Do you know a well constructed sentence when you see one? In your mind you always think your writing isn't good enough, but in reality you know good writing when you see it. Your appreciation for well constructed sentences shows you have good taste. A well formed sentence is like a glass of fine red wine. 11. Do you find yourself in conversation when no one else is around? Sounds weird and a bit crazy. Talking is your way of expressing an idea you've had that needs to be recited before it's quickly written down. 12. Is your guilty pleasure visiting bookstores? Visiting a bookstore for you is like a kid in a candy shop. Shelves brimming with adventures and ideas.